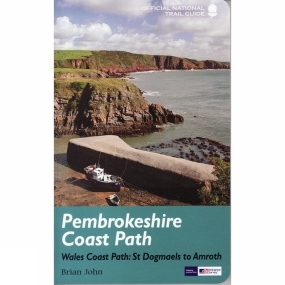 The Pembrokeshire Coast Path is one of the most popular of the fifteen National Trails in England and Wales. Running for 186 miles (299 kilomeres), it follows the spectacular coast of the Pembrokeshire National Park from St Dogmaels on the peninsula's northern coast, via the lovely towns of St David's and Tenby, and the dramatic natural harbour of Milford Haven, to Amroth on the south coast. With its soaring cliffs, interspersed with isolated coves and sandy beaches, this is one of the most varied and least spoiled coastlines in the country, offering walkers a chance to visit a host of sites of geological, historical or wildlife interest. This book is the complete, official guide for the long-distance walker or the weekend stroller. All you need is this one book. National Trail Guides are the official guidebooks to the fifteen National Trails in England and Wales and are published in association with Natural England.